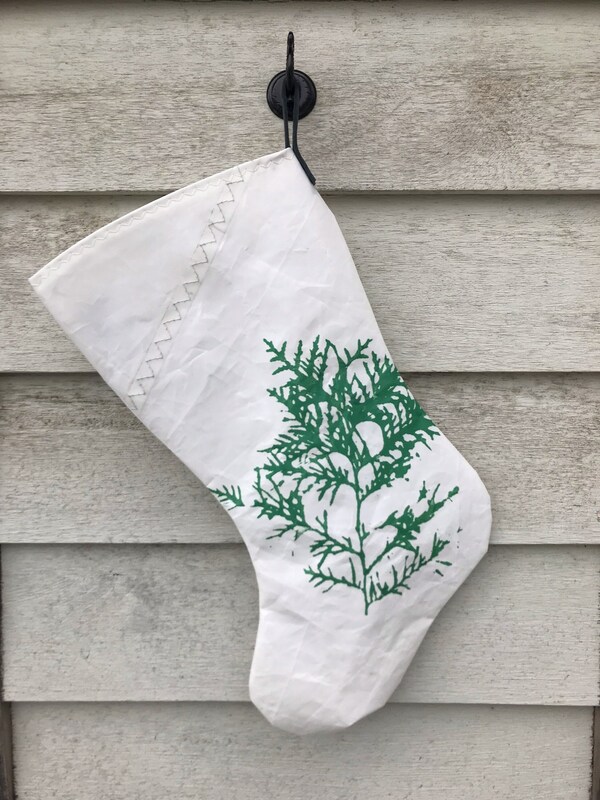 Recycled sailcloth holiday stocking. Beloved Cedar image on the front. 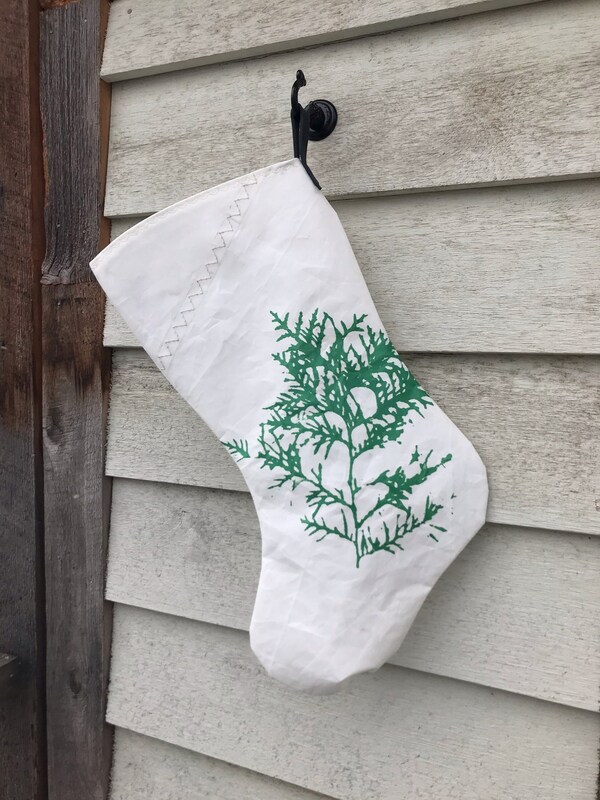 This stocking hangs from a lux lake blue leather loop attached with two brass rivets. 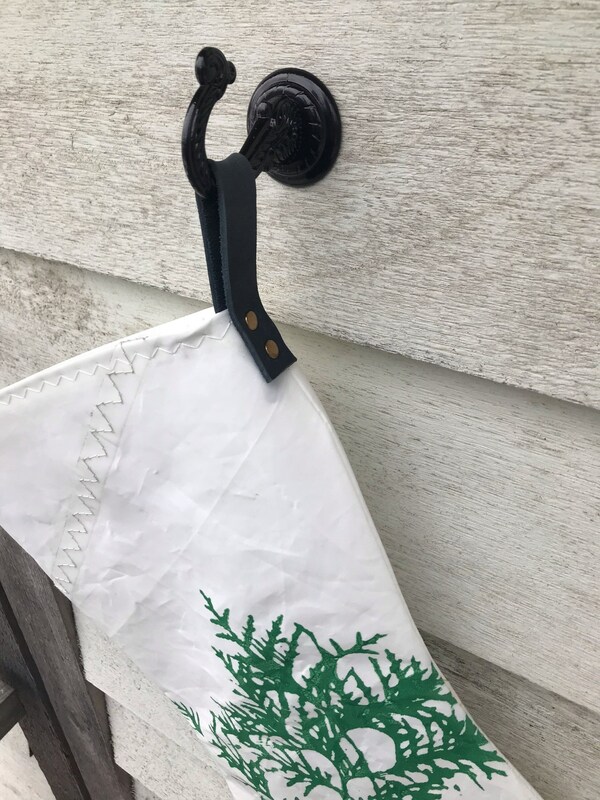 Sailcloth is known for its strength, weather resistance, durability and light weight. 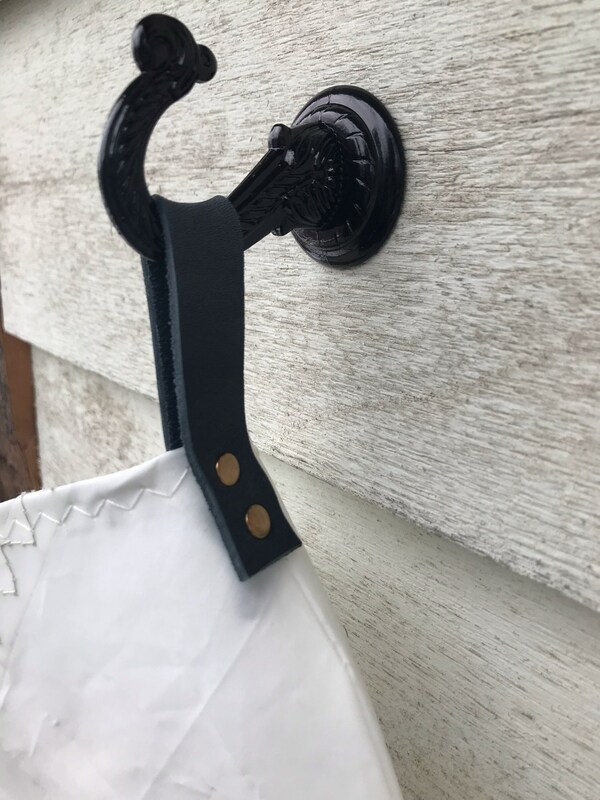 An original sail seam will appear on the front but placement will vary. 18 inches tall, 10 in. wide and 1 in. deep. To inform you about my shop sales and new products.